But the interview never happened. Hoppe died March 1. 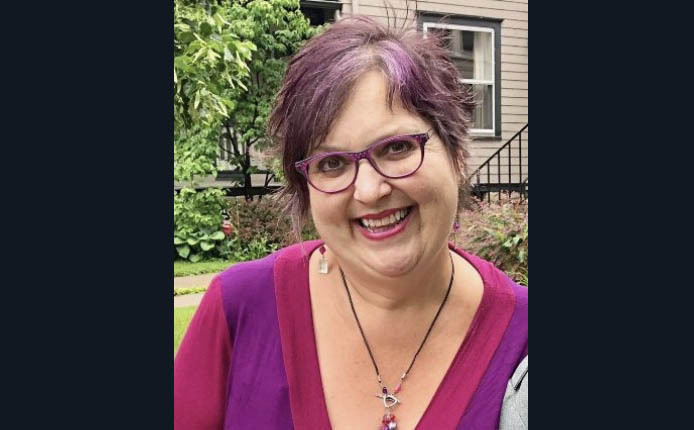 A memorial service for her will be held at 11 a.m. Saturday at Evergreen Commons, 67 Prospect Ave.
Hoppe and supporters of the act say it contains built-in safeguards, and that it would allow for a quiet death in the presence of loved ones while enhancing dignity and offering relief from sustained, needless suffering. Hoppe, who said her own situation gave her the ultimate perspective, maintained it made sense to allow choice to anyone in that situation. Those who oppose the effort say the issue is fraught with individual and societal risk; they contend it asks physicians to move into dangerous areas of interpretation and creates a "slippery slope" in which mistakes could be made and life devalued, especially for the most vulnerable. Amid that fierce debate, almost a year before her death, Hoppe traveled to Albany and made her case before the state Assembly health committee, which narrowly supported the act - though it never made it to the full state Assembly. New versions have been introduced this year before both houses of the state Legislature. Not long before her death, Hoppe took part in creating a video that allowed her to explain why she dedicated herself, during her illness, to this cause. Her friends expect to show it at a reception following today's service. We attach it below.